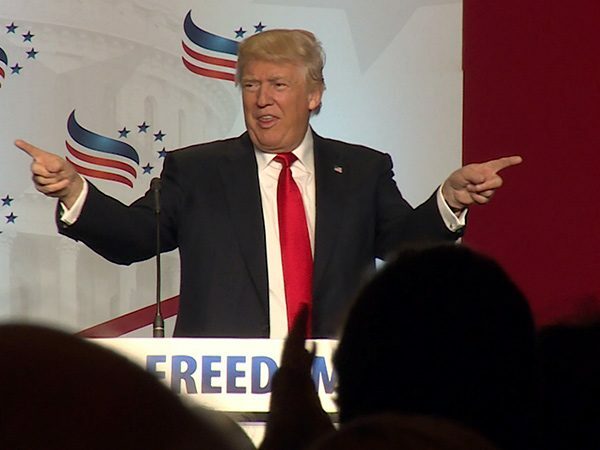 KIM LAWTON, correspondent: At the Faith and Freedom Coalition’s Road to Majority Conference last week, presumptive Republican nominee Donald Trump got a warm reception from this largely evangelical audience. DONALD TRUMP in speech: As you know, we have done very well with the evangelicals. RALPH REED (Faith and Freedom Coalition): I think if you look at the things that we, as conservative evangelicals believe in--life, marriage, religious freedom, support for Israel, and terrorism--I think Donald Trump stands for the positions that advance the good. LAWTON: But among other evangelical Christians, including those who usually vote Republican, strong concerns remain about Trump’s character, the strength of his political conservatism and his suitability to be president. PETER WEHNER (Ethics and Public Policy Center): I think he’s erratic, I think he’s unprincipled, I think he’s unreliable, and I don’t think he can be depended on. I think he would be an active danger to the republic if he were, if he were President. LAWTON: Still others aren’t sure what to think. 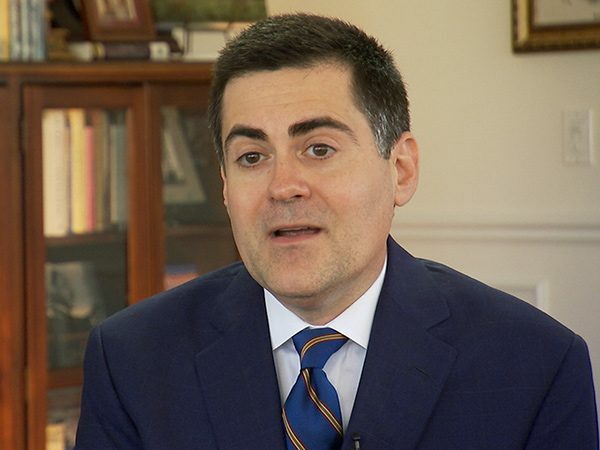 RUSSELL MOORE (Southern Baptist Convention): Evangelicals right now are, for the most part, simply watching the choices in front of them with a sense of horror. LAWTON: For the past three decades, evangelicals have been a cornerstone of the GOP coalition. In the last election, almost 80 percent of them voted for Mitt Romney. But during this election cycle, they have been divided over Trump. 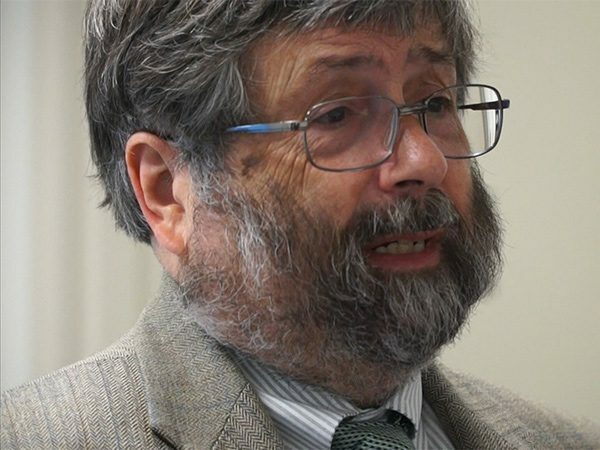 PROF. JOHN GREEN (University of Akron): Some have decided to be very pragmatic. We’ve seen this among some leaders and among some voters as well, and if it looks like Trump’s going to win, then they want to back him, because they would prefer a Republican president, even if less than ideal, than a Democratic president. But there are other evangelicals that are very conflicted about this. So this is an unusually difficult election for many evangelicals. LAWTON: John Green is director of the Bliss Institute at the University of Akron and a veteran scholar of religion and politics. He says a lack of enthusiasm among evangelical voters could have serious implications for Trump. GREEN: It’s not just evangelicals. I mean, there are other pieces of the Republican Party that are in disarray as well. But because evangelicals play just a central role at the ballot box, that has to be a top priority for Republicans who want to be successful. 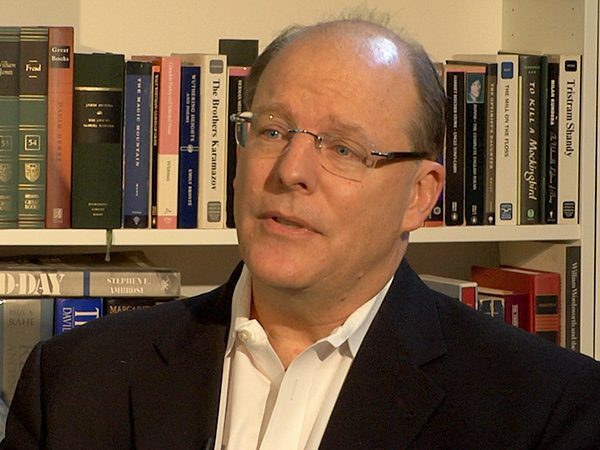 LAWTON: Prominent evangelical Peter Wehner is a senior fellow at the Ethics and Public Policy Center. He worked in the last three Republican administrations and has been an outspoken critic of Trump. WEHNER: He has a view of power that really worries me a great deal, speaking as a Christian. The evidence that we’ve seen of the contempt that he has for people he considers weak, his bullying tactics, his cruelty. And he thinks that might makes right, and that’s very, very problematic from a Christian perspective and very, very problematic for a person that’s going to be president of the United States. LAWTON: Some evangelicals, particularly Latinos, have been turned off by Trump’s inflammatory rhetoric and his tough stand on immigration. 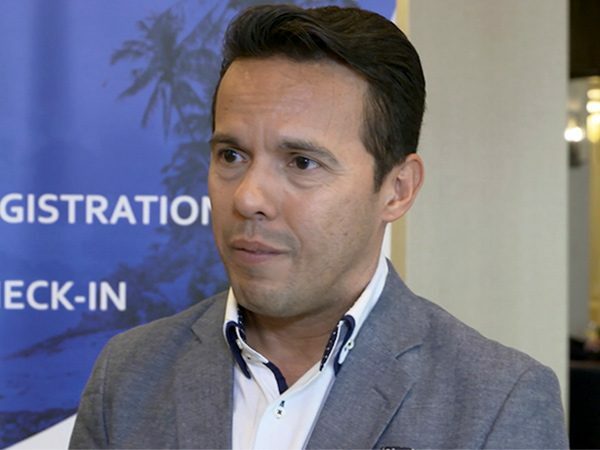 SAMUEL RODRIGUEZ (National Hispanic Christian Leadership Conference): This idea, of deporting and separating families, even those that have been here for 20 years, when their kids have been born here, that’s outrageous, that’s not practical. It doesn’t even speak to a pro-life, pro-family, pro-faith ethos. LAWTON: And there are lingering questions about Trump’s character. MOORE: You have someone who has openly boasted of marital infidelity, serial adultery, someone who has made his living in the casino industry, that I believe is predatory off of the poor, and someone who has used race-baiting in this campaign in really unprecedented sorts of ways. LAWTON: The Trump campaign has been stepping up its outreach to conservative Christians. In his speech at the Faith and Freedom Coalition, the candidate stressed what he described as their shared values. He promised to uphold the sanctity of life, appoint prolife judges, fight what he called “radical Islamic terrorism” and safeguard religious freedom. TRUMP in speech: We will faith to its proper mantle in our society. That’s what we have to do. And we have to do that soon. We will respect and defend Christian Americans. Christian Americans. LAWTON: The campaign is highlighting the support of prominent Christian leaders. 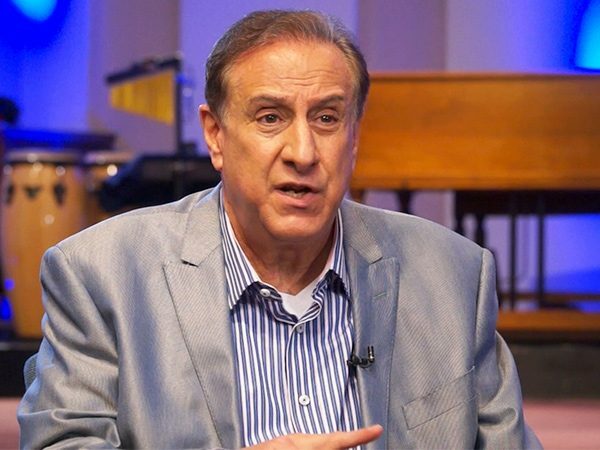 Ohio pastor and religious broadcaster Frank Amedia of Touch Heaven Ministries has been named a "liaison for Christian policy," a volunteer position. He, too, has heard the evangelical concerns. LAWTON: Amedia admits he doesn’t condone all of Trump’s rhetoric. 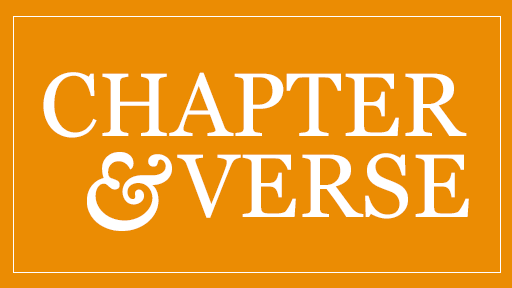 AMEDIA: What I’ve experienced, and the people that I know that know him well, and my friends and pastors, we see no racial bias, we don’t see any religious bias, we don’t see any sexism. Yes, we hear remarks that would be alarming, but let’s face it, there’s remarks that have come from the other side that are extremely alarming. LAWTON: He says he is not bothered by Trump’s apparent lack of religiosity. AMEDIA: I don’t care if he’s, if he’s a born-again Christian or not. I know that that’s going to get people mad at me again on the right side. What I care about is, is that he’s raised himself up for Christian rights, for the First Amendment, for religious rights. It’s very clear that Trump stacks up more on the line of what are Christian fundamental doctrines and concerns than Hillary or Obama do, or they have. MOORE: Of course we’re not electing someone to be pastor. Someone who is president of the United States does not need to be someone who shares the Holy Spirit with us or who shares a common doctrinal framework. But evangelical Christians have always said that character matters. LAWTON: Russell Moore is head of the Southern Baptist Convention’s Ethics and Religious Liberty Commission. MOORE: Surely we can agree that there are some things that would morally disqualify a person from office, regardless of what pragmatically that person would do. And so, if we agree on that, then our question is simply, what is that? LAWTON: Many evangelicals say they are still wrestling over what to do in November. MOORE: Whatever discomfort evangelicals have, and it’s real discomfort, with Donald Trump, that’s not showing up in a warming toward Hillary Clinton. WEHNER: It leaves me politically homeless. I’m not going to vote for Donald Trump under any circumstances, I’m not planning on voting for Hillary Clinton, because she’s a liberal and I’m a conservative, she stood against pretty much everything I’ve stood for in my public life. LAWTON: Some are considering voting for a third party or write-in candidate. Others have decided to vote for Trump as the lesser of two evils. 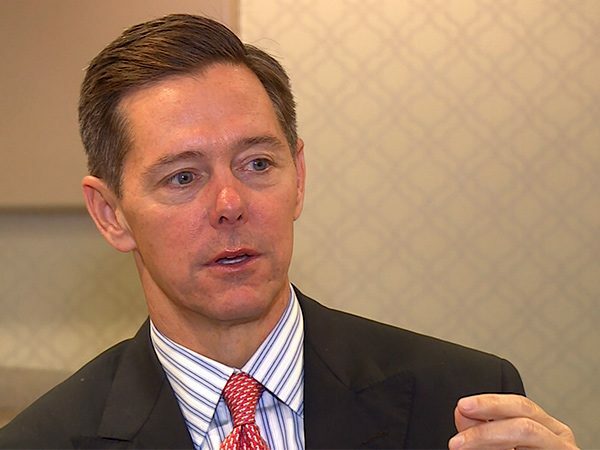 Ralph Reed of the Faith and Freedom Coalition predicts that if Trump keeps stressing their key issues, he will ultimately do well among evangelicals. REED: By definition, in a fallen world, every choice is an imperfect one. I think for us to reject the good because it isn’t perfect, or because the messenger isn’t perfect, shows potentially, a level of spiritual immaturity. LAWTON: Reed says he is spearheading a massive get-out-the vote effort among conservative Christians. REED: If you stay home, you essentially withdraw, and you’re sort of voting by your absence that you’re checking out of the process. That’s not my reading of either the Bible, or Jesus, Jesus’s teaching, or New Testament teaching, on how we are to function as men and women of faith in our earthly citizenship. LAWTON: In recent elections, evangelical grass-roots organizing has greatly benefited the GOP. But John Green questions whether Trump will inspire the same level of enthusiasm, even among those who have decided to vote for him. GREEN: From a purely pragmatic point of view they need each other. But of course politics isn’t all pragmatism. It’s also about values, it’s also about principles. Can evangelicals find a way to work with the Trump campaign, and frankly, can Donald Trump find a way to work with them? LAWTON: The answers could help tip the balance in November. I’m Kim Lawton reporting. On June 21, Donald Trump has planned an invitation-only, closed-door meeting in New York with 500 evangelical leaders. Evangelicals have voted overwhelmingly Republican. But while Trump has some support in the conservative Christian community, there are also lingering concerns about his character and suitability to be president. 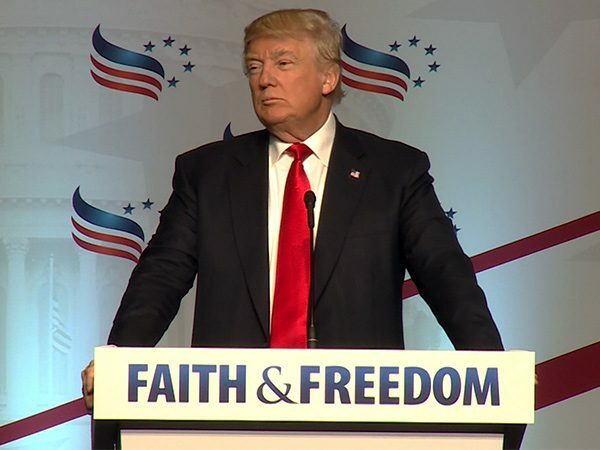 Kim Lawton looks at evangelical divisions over Trump and the potential election fall-out.